The holiday season is the busiest travel time of the year. While some families celebrate at home, many also travel to see their families and friends. Unfortunately, burglars take advantage of the many unoccupied homes over the holiday season. If you plan to travel during the holidays and are concerned about keeping your home safe, here are 6 tips to consider. 1. If you have a trip planned, only tell people that you trust. Be cautious of posting any vacation plans or pictures online until after you return home. Too often, potential thieves troll social media channnels looking for this kind of information. 2. Let a neighbor know that you will be gone. Collect your mail and newspapers every day. You can also stop mail and newspaper delivery while you are gone. Park one of their cars in your driveway. Keep an eye on your house for any unusual activity. 3. Don’t leave any hidden keys outside of the house. If a neighbor or friend will be stopping by, leave the keys in their possession. Criminals know all about hiding a key in the mailbox or under a rock on the porch. 4. Double-check the locks on all windows and doors. If you have pet doors, make sure that they are secure as well. Surprisingly, almost a third of all burglars enter a home through an unlocked door or window. 5. Use timers for lights and televisions. Using a smart outlet, you can program your lights and televisions to turn on and off throughout the day and night. Many outlets come with an app for your phone so you’re able to control them remotely, too. Outside motion sensing lights are also a great deterrent for burglars. 6. Keeping your home safe with a security system. If you don’t already have one, a security system will give you the most peace of mind if you are traveling for the holidays. You can set up alerts so that any activity on your property is reported to you and your local police department. 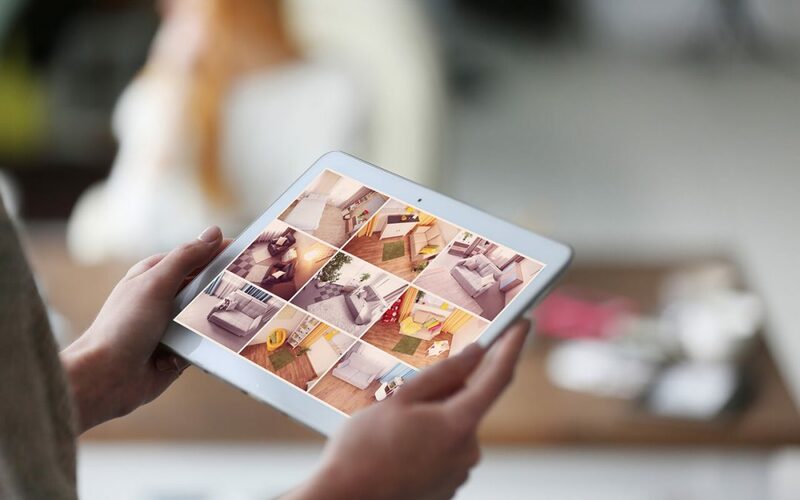 Modern security systems also allow you to view the footage of your home from wherever you are. The holidays are perfect for spending time with your friends and family. The last thing you should be worried about is keeping your home safe if you are traveling for the holidays. These tips should give you some peace of mind and let you enjoy all the season has to offer. Inspired From Above Home Inspections wishes you a happy and safe holiday season!